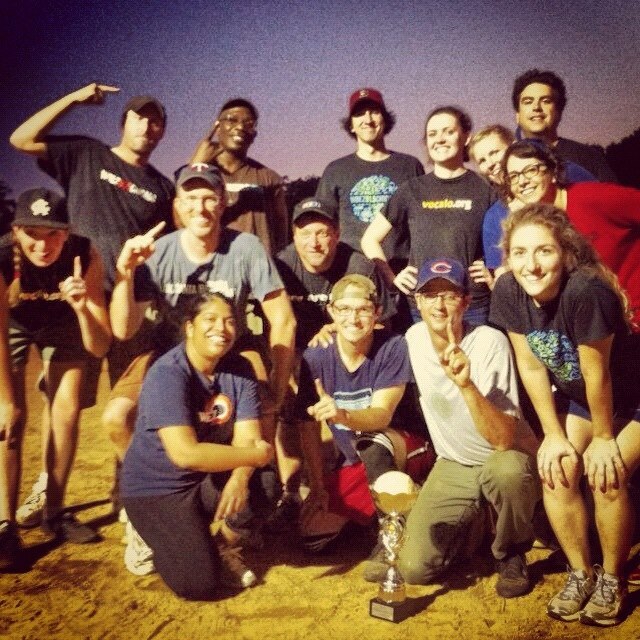 Welcome to this edition of the Morning Drive Podcast - brought to you by the 2012 Kup Cup SOFTBALL CHAMPIONS - WBEZ! We&apos;ve got an exclusive interview with WBEZ coach Justin Kaufmann in today&apos;s podcast. ►Public school teachers in Chicago could walk off the job during the second week of school. That’s because the Chicago Teachers Union has officially filed a 10-day strike notice with the Illinois Labor Relations Board. ►The State of Illinois has taken another hit to its credit rating. Standard & Poor&apos;s announced on Wednesday its decision to lower Illinois&apos; credit rating one notch, from A+ to A. The credit rating agency cited state lawmakers’ inability to address $83 billion in unfunded pension liabilities. ►The Chicago Transit Authority recently proposed cutting a dozen bus lines and adding service on others. So this question by Curious City participant Corinne Creswell seemed perfectly timed: "Elston doesn’t have a bus line. What factors lead to bus routes being added or removed?" ►WBEZ history blogger John Schmidt takes us back to the first thoroughbred horse race with a million-dollar purse - the Arlington Million. And your WEATHER for today: Sunny, hot, highs in the lower to mid 90s - some winds with gusts up to 25 miles per hour in the afternoon. Tonight, clear, warm, lows in the lower 70s, except in the mid 70s downtown. Friday, mostly sunny, hot, highs in the mid-90s. Then Friday night, partly cloudy, a 20 percent chance of showers after midnight, lows in the lower 70s. Music in today&apos;s podcast brought to you by Queen. Since, if you haven&apos;t heard, WBEZ&apos;s softball players are the champions today!